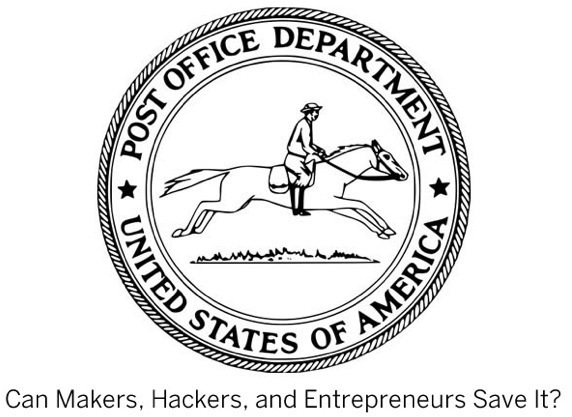 Senate bill to fix ailing Postal Service passes « Adafruit Industries – Makers, hackers, artists, designers and engineers! Senate bill to fix ailing Postal Service passes. The bill makes controversial changes, including cuts to workers’ compensation benefits, as well as a transition from door-to-door delivery to curbside delivery in some areas, such as suburban neighborhoods. Somewhat good news for folks who ship things via postal service. We have an old-fashioned mail slot on our house, which surprised me when we moved in years ago because I didn’t think the USPS did that kind of thing anymore. I wouldn’t mind having to get a mailbox, but it’s nice to not have to go outside to get the mail some days. My father has worked for the postal service as a mail handler for almost 30 years, so I’ve gotten to hear a lot about what’s going on within the organization. Unfortunately, the types of things being legislated only seem to be band-aids over bigger organizational problems. The organization has been hemorrhaging billions of dollars every year for many years. Forcing them to stay open on Saturdays, while good for consumers, doesn’t help solve that problem. 1st class mail has been subsidizing 2nd and 3rd class mail for years. It is time for 2nd and 3rd class mail to pay its on way. Maybe that would reduce the piles of junk mail that we all get and help get the PO out of a hole. Most companies also do not offer USPS as a shipping option. Let us ask those companies to offer that option. I am able to wait longer if it saves money. The fix is trivial, repeal the 2006 “Postal Accountability and Enhancement Act”.